thanks for the chance to win. And Happy Easter! There is nothing better than a Target gift card! I love totally target. You are a great help. Thank you for another great contest! This would be so cool to win. Please enter me in the giveaway. Thanks!!! This would make my puppy very happy!! Happy Easter to all! At least have this chance! Would make a great Easter gift. Thank you! I like TT on FB. Thanks!!! Would be a great Easter present! Thanks for all that you do! Would be nice to win since we are having our second baby, our Thanksgiving turkey! I already like Totally Target on Facebook. 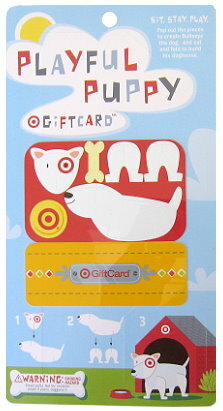 I could totally use a $50 Target gift card. Hope I win!!! Would be good for half price Easter. love your site!!! thanks for all you do! I love TT. Thanks for another fun giveaway!